A friend of mine just told me about the Cricket Trailer. 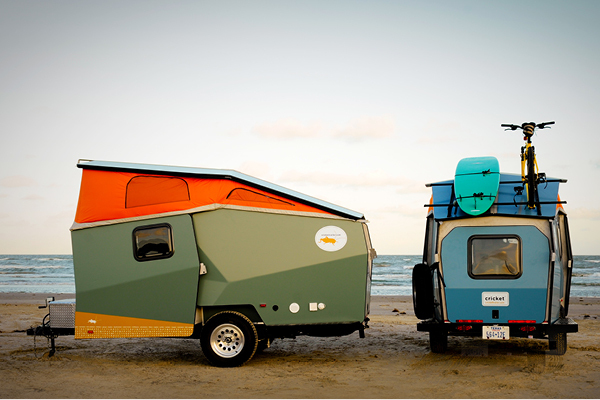 It’s a lightweight, pop-up trailer for sports adventures or basic camping with a small family. 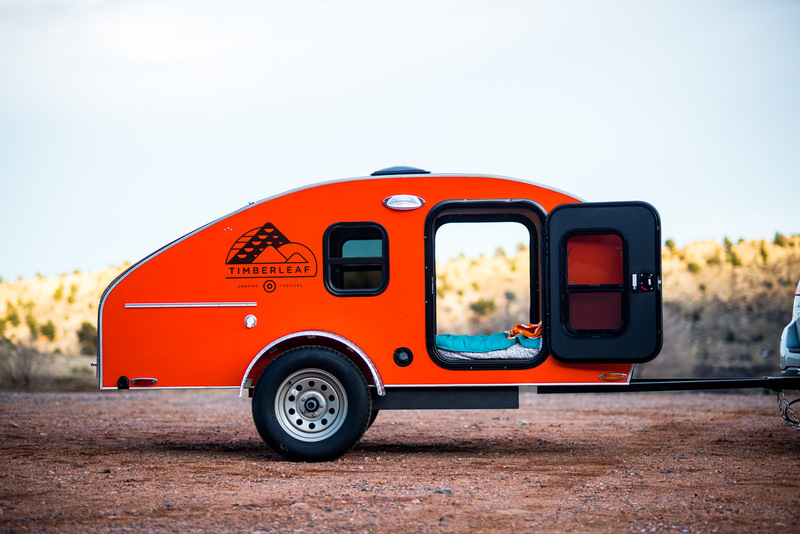 It has clever features like ambient LED lighting, “loft” sleeping for kids, wide doors on the side and rear for getting gear in and out, and an optional rack for putting more gear on the roof. The rear door opens upwards, simultaneously creating an airy opening to the living space and a shade structure. The windows are also very clever. A shade can be pulled up from below and a mosquito screen can be pulled down from above. You can slide the point where they meet down, or up, so you can have 100% shade, 100% mosquito screen, any combination in between, or no screens at all. It comes in two floor plans (one with a couch/bed, one with a “v-berth”). Both include a sink, portapotty, and shower sprayer. You can hose off inside or out. It looks like a very stylish, very well thought out trailer. Well done! See the rest of the post for a video tour.